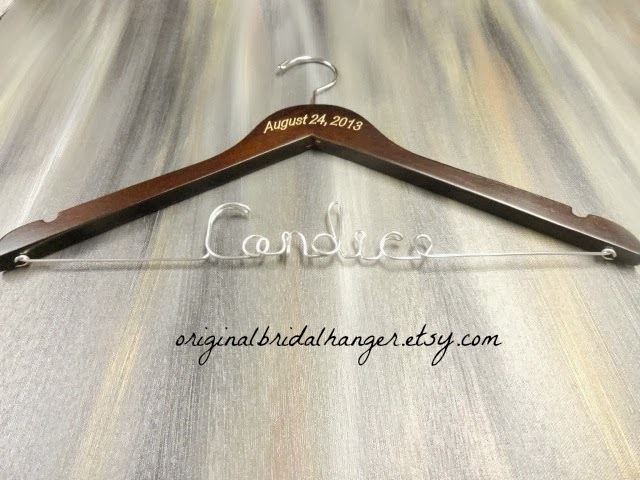 AMY'S ORIGINAL BRIDAL HANGERS: Wedding Dress Hanger Sale! 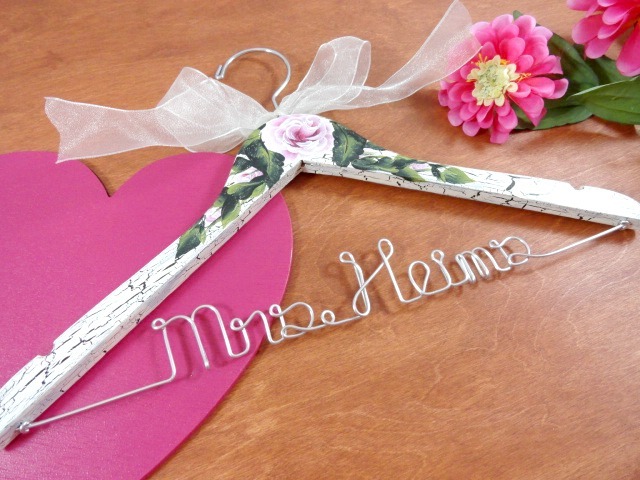 I have not ran a sale lately and decided this morning to bring in Fall with a bridal hanger sale. 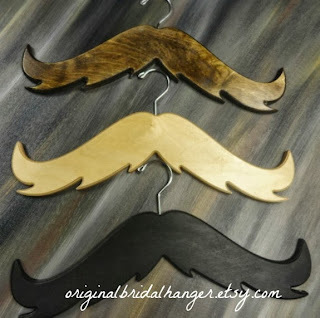 It is in the process of starting in my Etsy shop while we speak. I have a variety of new items in my shop. I have recently begun to engrave on my hangers. They are so much better than when I offered painting on them. Still working on more designs. 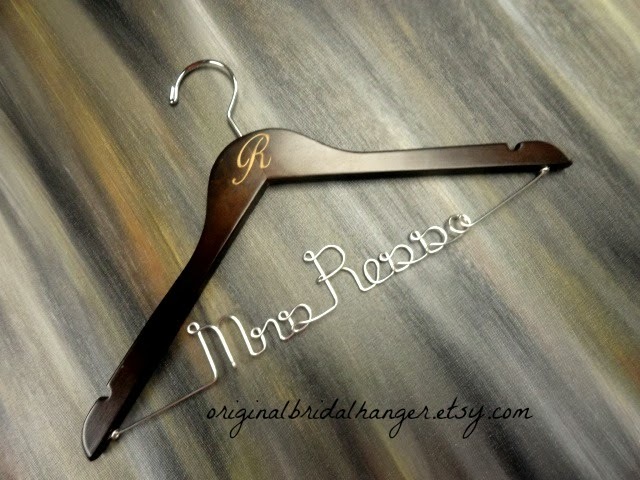 You may even have a full monogrammed hanger like this one. 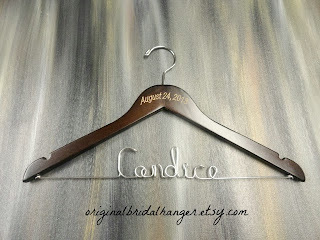 I also do hangers with the bride and groom names and date underneath that. Try one of my handmade in the U.S.A. hangers with the mustache design. 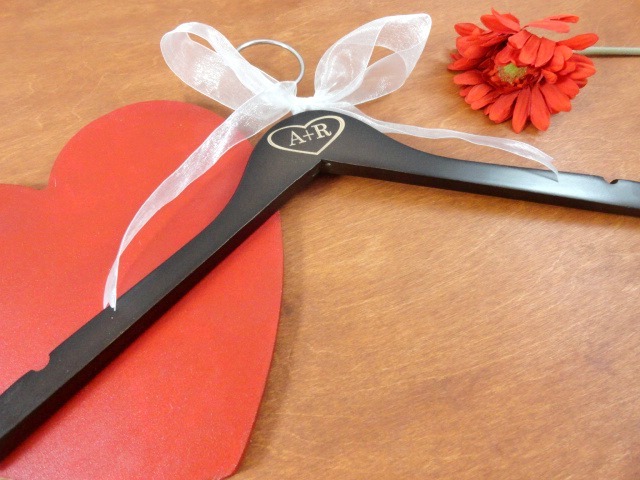 These are fun and can even be nice for the groom too. 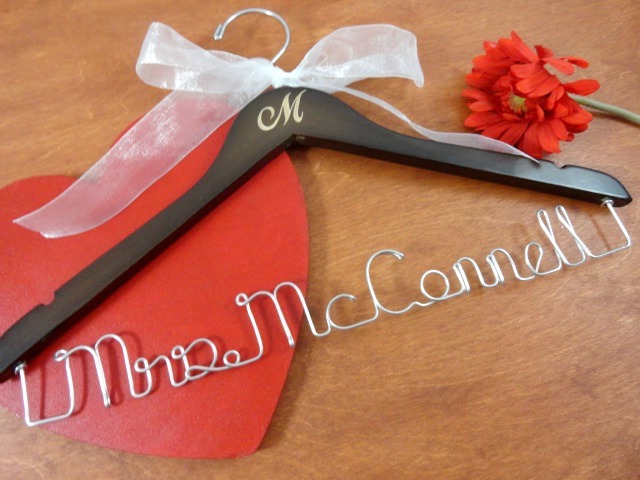 So, stop by my shop and see what is going on with all the new items. Feel free to stop back often, as I plan to continue to add more. This sale will end at 12:00 a.m. on 10/01/2013.